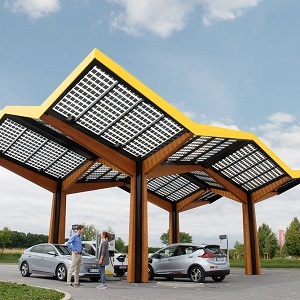 Fastned, that is building a European network of fast charging stations where all electric cars can charge, will today open its first station in Germany. The fast charging station is located along the A3 highway at Limburg an der Lahn (exit Limburg-Süd) and has several 350 kW chargers. This allows electric drivers to charge up to 100 times faster than at home, making it possible to travel long distances with an EV. Mayor Dr. Marius Hahn from the municipality of Limburg an der Lahn and Bart Lubbers, co-founder of Fastned will officially open the station.